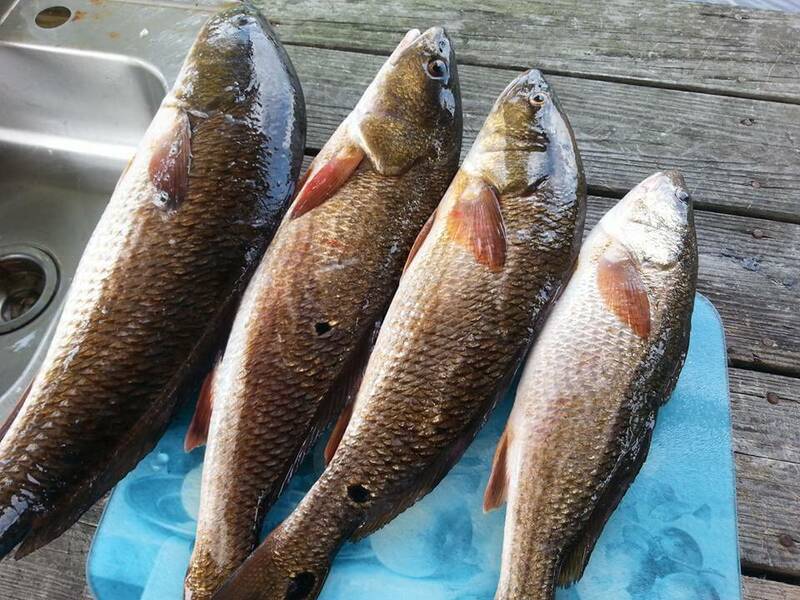 Redfish are everywhere across the Southeast U.S., and one of our favorite and easiest ways to cook it is on the half shell. That simply means that you don’t scale or skin it, you just cut 2 fillets from each fish and freeze for later or cook them immediately. 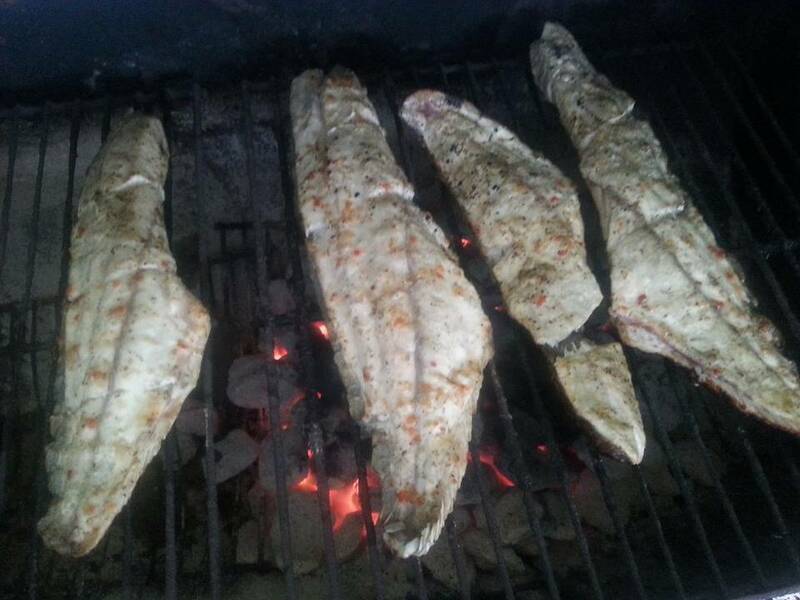 1) You need one 5-6 pound redfish for every two servings. Rinse some of the slime coat off the fish to make it easier to handle. 2) Using a very sharp fillet knife, or electric knife, start right behind the gills and pectoral fin start cutting the entire side of the fish, down to the stomach, and using the backbone as a guide for your knife blade. Stop just before the tail fin. Turn fish over and repeat. Remove the ribs and feel for any bones that might still be in the fillet. Use needle-nose pliers to pull out any additional bones. Score the fillets 3 times – top, middle, and bottom. 3) Rinse the fillets well before adding seasoning. Line a large baking sheet with aluminum foil. Place the fillets scales side down. Liberally pour italian dressing over the fillets, covering them completely. Allow to marinate at least 30 minutes. Sprinkle with Cavenders Everglades Seasoning or Creole Seasoning (Tony Chachere’s), then place melted butter and thin slices of lemon over the meat. 4) Grill for 15-20 minutes – test thickest part of flesh for doneness. When done remove from grill and serve immediately. 5) Use a rubber spatula or spoon to remove the meat from the skin, or just eat it directly on the half shell. This is one of the easiest and most delicious ways of cooking redfish.